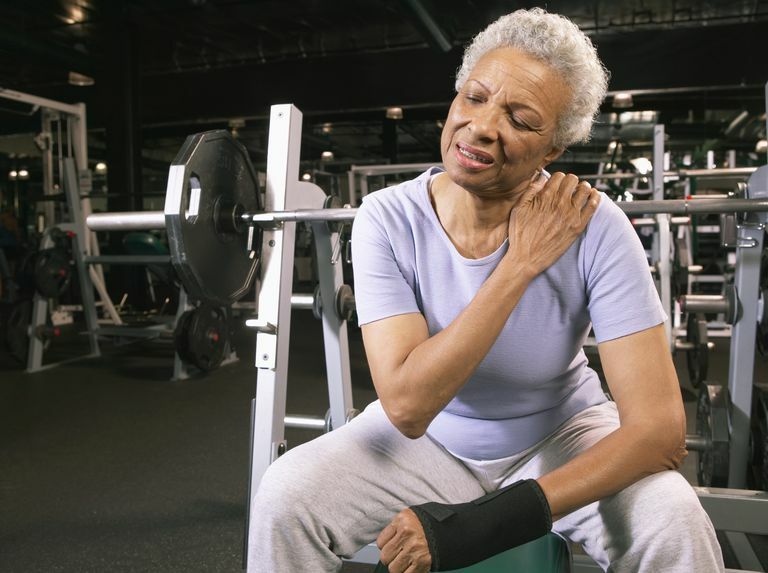 Shoulder pain is a condition that can affect both younger and older people. Causes can vary with some persons experiencing minor "clicks" and aches while others have a persistent, debilitating pain and severe restriction of motion. While injury and arthritis are among the more common causes of shoulder weakness and pain, there are other conditions that can give rise to these symptoms. They include shoulder impingement, rotator cuff tears, and shoulder inflammation. Shoulder impingement syndrome (sometimes called swimmer’s shoulder or thrower’s shoulder) is caused when the tendons or bursa of the rotator cuff become irritated and inflamed as it passes through the space (called the subacromial space) just below the scapula. Impingement is often caused by the repeated, overhead motion of the arm. It can result in pain when you lift your arm to the side, a condition to as the painful arc. If left untreated, an impingement can lead the gradual tearing of tendons around the rotator cuff as they begin to weaken and thin. The rotator cuff is a group of four muscles and tendons that surround the ball of the shoulder joint. These structures together help lift the arm and perform overhead tasks. Rotator cuff tears can cause shoulder weakness by altering the mechanics of the joint. If left untreated, a person's range of motion and strength can be permanently affected. Bursitis is the inflammation of the fluid-filled sacs (bursa) that help reduce friction in your shoulder space. The appearance of symptoms tends to be gradual rather than immediate. The pain is around localized around the outside of the shoulder. There is generally little pain if you hold your arm to your side or lift it to a 90o angle. Tendonitis, by contrast, affects the tendons of the rotator cuff, causing pain in both the shoulder and upper arm (sometimes extending as far as the wrist). Shoulder clicking is common, often more so when you reach behind your head or back. Pain can be felt when raising your arm above your shoulder or sleeping on the shoulder itself. As tendonitis progresses, the pain can become more persistent and severe. Meanwhile, another condition called brachial neuritis can cause inflammation of a group of nerves that service the shoulder and arm (called the branchial nexus). Also known as Parsonage-Turner syndrome, the condition is characterized by the sudden onset of a piercing and sharp pain. The severe pain tends to last for several days, after which the arm and shoulder are usually very weak. In all three cases, weakness is not entirely associated with the inflammation itself. Rather, the weakness is caused by the body’s response to the pain as your reflexes take over and prevent any movement that hurts. Over time, the lack of movement can compound the weakness and lead to a loss of muscle mass, strength, and endurance. American Academy of Orthopedic Surgeons. "Shoulder Pain and Common Shoulder Problems." OrthoInfo. Summit, New Jersey; December 2010.